The market share of carpet tile has grown significantly over the last couple of years. Historically it has been primarily used for commercial floor installation, but a growing number of residential carpet manufacturers have begun to market products aimed at the consumer. Carpet tile is used in all types of commercial applications for high traffic areas. 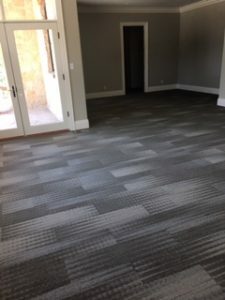 The reason for the installation of carpet tile in high traffic areas is that the tiles in these areas can be replaced with tiles from lower traffic areas and the look of the building is easier to maintain. Tiles that have been damaged can be replaced with new ones. This movement of carpet tiles helps maintain the look of the carpet and it lasts longer because of it. The higher initial cost of carpet tiles is often times offset by the fact that you can replace a damaged tile easily without having to replace an entire area. You need to consider the size of the tiles and envision the room and floor as a one entity. If you are creating a pattern with the tiles make sure they will work with the size of your space so the pattern works as intended. • Easier to install than standard carpet rolls. • Easy cleaning. 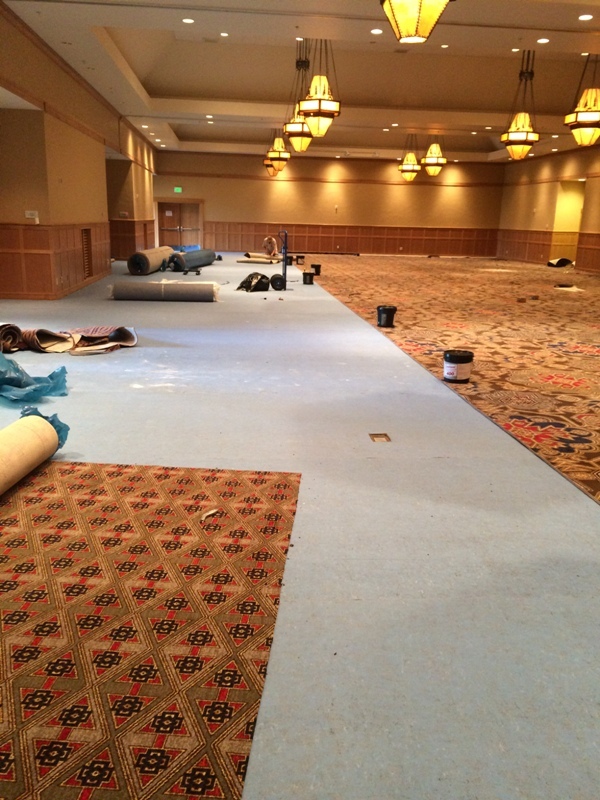 Individual carpet tiles can be removed for cleaning or even replaced if damaged or stained. • For areas that have excessive cleaning (schools, restaurants, etc) the fused backing allows for carpet NOT to delaminate, thus extending the life of the Carpet. • Since the carpet is fused into a harder backing you are less likely to pull out loops or getting snags. • Carpet tile needs to be glued down, so you will lose a comfortable foot feel if thinking about a residential application. Your comfort and how long your carpet lasts depend on it. You cannot see the padding under the carpet but it helps keep your carpet clean, comfortable, and free from odors. The higher the quality of your carpet cushion, the more comfortable that your carpet will be underfoot and the longer your carpet will last. Do you have pets? If so, you might want a moisture barrier between the carpeting and the padding to prevent urine from getting into the padding. Cause your carpeting to wrinkle and buckle. Cause your carpet to separate from the backing or even pull apart at the seams. Cause your carpet or become worn out before its useful life. Once you have picked out your carpet, spend some time thinking about the pad and asking the company your purchasing the carpet from to recommend the correct padding for your situation. At Coventry Flooring we can help you pick the padding and moisture barrier (Pet Protect) for your home or office. We typically recommend at least a 1/2 inch rebond padding. This can vary to a slightly thicker pad if you want your carpet to be extra soft. Call today and don’t forget we offer a lifetime installation guarantee on all of our carpet installations.